(sale, Klipstein & Kornfeld, Bern, 25 May 1962, no. 530); unidentified stamp on back of mount. (L'Oeil Galerie, Paris), c. 1965. Ruth Carter Stevenson; gift 1991 to NGA. Art for the Nation: Gifts in Honor of the 50th Anniversary of the National Gallery of Art. Exh. cat. National Gallery of Art, Washington, 1991: p.320. Helfenstein, Josef, and Christian Rumelin. 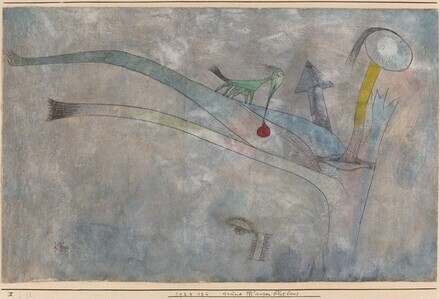 Paul Klee: Catalogue Raisonné, Vol. IV. Bern, 2000: 3492.